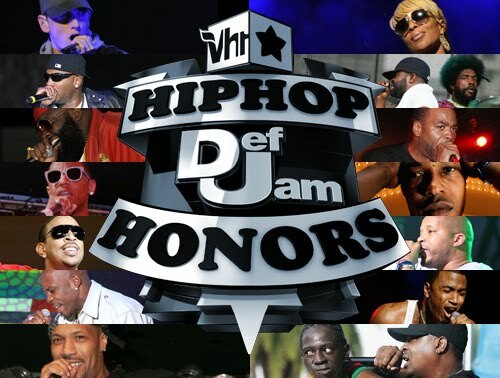 VH1 will air the 2009 Hip Hop Honors on Tuesday, October 13th. The sixth annual honors show will have range of stars paying respect to Def Jam Records, as they celebrate 25 years as the premier label for hip hop. Tracy Morgan will host the show, with appearances and performances by Eminem, Mary J. Blige, Chris Rock, The Roots, Public Enemy and Kid Rock, just to name a few. Def Jam was founded by Russell Simmons and Rick Rubin in 1984 in New York. The label made hip hop a worldwide phenomenon by introducing groundbreaking artists like RUN-DMC, The Beastie Boys, LL Cool J, Public Enemy and Kanye West. Def Jam has expanded into all aspects of our culture by branching into fashion, TV, film and videogames.